Rob Kirby is Chef Director for Lexington Catering, one of the UK’s most well- respected and thriving catering companies. 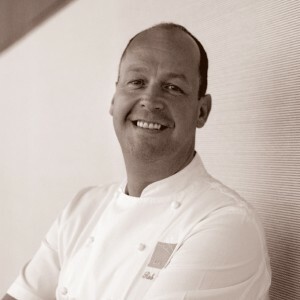 As an important member of the Royal Academy of Culinary Arts, Britain’s leading Professional Association, Rob represents the industry both nationally and internationally and recently won Chef of the Year at the Cateys 2013. In 2012 Rob won ‘Best Fundraising and Charity Cookbook’ at the Gourmand World Cookbook awards for his book ‘Cook with Kids’. Rob’s second book, ‘The Family Kitchen’, was released in the Winter of 2013.